For those new here let me introduce myself, I’m Samantha Arora originally from Manchester and now back having left my really lovely Southern friends behind. I used to make cakes in Watford but from now on its cakes in Manchester! With three great kids and one adopted cat I began making cakes as a hobby but now it’s not only a great pastime it’s become a full blown business. It just sort of happened that way as demand for my creations grew, particularly as I became well known on Facebook where such a lot of my orders now come from. 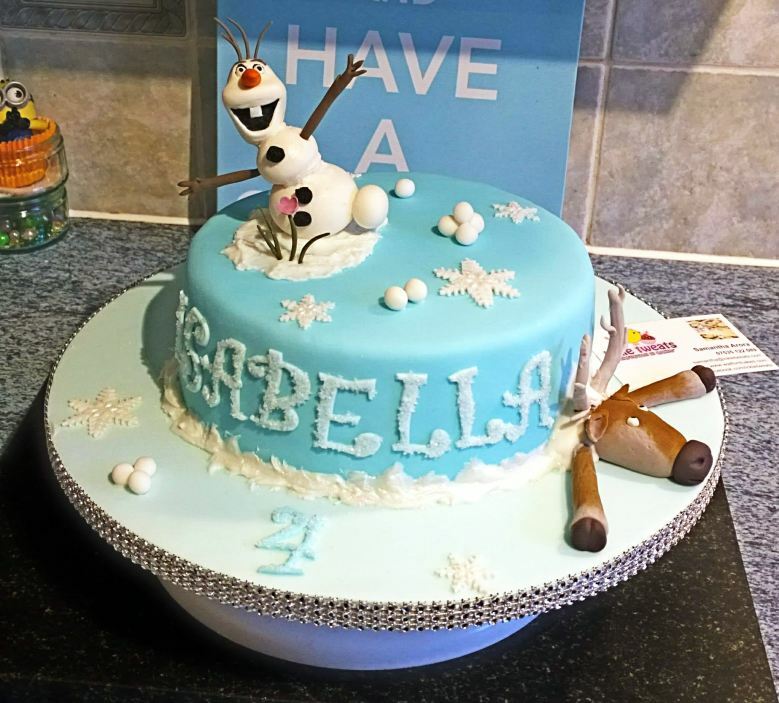 This cake website came about because I needed a more organised way to present my products so that they were more easily viewed by my fans both in and around Manchester and further afield. Ickletweats? Don’t ask, it’s a pen name I have used from the beginning to highlight my cake making efforts and it’s just stuck! So what can you expect if you decide to commission me for your very special occasion? Well for a start all the cakes are designed and made by me, I do not outsource anything. That way I can ensure that the quality of every cake is first class. I also make most of the embellishments you will see that go to make each cake so unique. I don’t use moulds, the cake I make for you should be a one off, not some pre-manufactured shape that anyone can have. My ingredients, it goes without saying, are of the utmost quality. The cake has to taste good as well as look good right? Filling can be specified when ordering, various sponge and chocolate bases are most popular but I can produce any cake to exactly the taste you want. Spinach gratin anyone? I began making cakes by designing and making children’s birthday cakes but now I can offer a cake for any occasion. Three dimensional (3D) birthday cakes for children are really popular, I have made so many of those. Adult 3D cakes for big kids are taking off too and are much appreciated by their recipients. Wedding cakes both traditional and zany can be ordered I will work with you to bake you exactly the cake you want. Wedding cup cakes are becoming really popular now, they look stunning as a central display and really wow the wedding guests. Alos Christening cakes, these cakes are usually requested in a traditional style but if you want something different tell me. So to the price. It depends of course on what you need but generally you will get a better deal than the high street and I believe you will have better quality. I have often been told I undersell myself but I think I just offer a fair price for an exceptional job. Please take a look around the site, I will be adding many more examples of my work along with articles and videos on cake making in general. Thanks for reading hope we can meet sometime soon. Ickle Tweats shared an album. Ickle Tweats added 5 new photos. Ickle Tweats updated their cover photo. Ickle Tweats added 4 new photos. Ickle Tweats added 2 new photos. So You Want A Cheap Designer Cake? Copyright text 2016 by Ickletweats.